With the Aqualink Wireless Remote you can control and program your pool with ease. 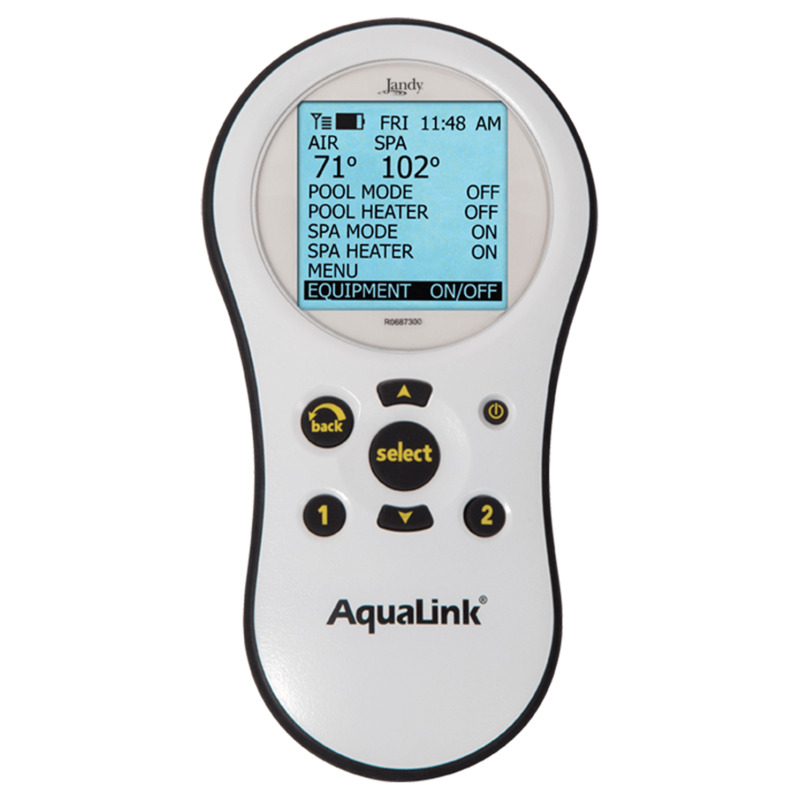 Featuring a water-resistant housing and non-slip grip, the AquaLink Wireless Remote allows you to control all pool/spa features and auxiliaries and has a large screen to clearly display status and functions. Perfect for late nights in the spa, lounging in the hammock or sunning pool side, the AquaLink Wireless Remote gives you the freedom to relax, yet be in total control. The rugged slip and waterproof housing is at home anywhere in your backyard, even in the water because the AquaLink Wireless Remote floats! Whether you include it with a new system or add it to an existing one, the AquaLink Wireless Remote will be at your command. Rubberized material for easy grip and durability. Easy to read backlit display and buttons. Hot keys conveniently control up to two of the most-used devices without navigating menus. Runs for months on 2 AA batteries. Water resistant and it floats! Included with the AquaLink PDA system.